On Tuesday this week, the Office of the National Coordinator for Health IT released the long-awaited final 10-Year Interoperability Roadmap. Following the release of the draft version of the roadmap in January 2015, the ONC sought comments from stakeholders. Over 250 comments were received, which were used to fine tune the roadmap ahead of the release of the final version. 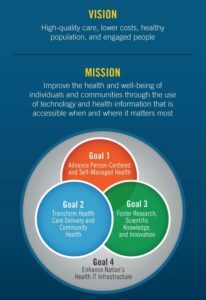 If this vision is realized, individuals and healthcare organizations should be able to securely share health information with any provider, with that information used to support a wide range of health and wellness functions, which will ultimately benefit patients and their families. While great progress has been made towards a fully interoperable health IT infrastructure, there is still a long way to go, hence the need for the Roadmap. Individual healthcare providers have implemented a number of new technologies to assist them make the move from a predominantly paper-based record system to an electronic health record system (EHR). Unfortunately, however, electronic health data still cannot be shared across organizational, vendor and geographic boundaries. 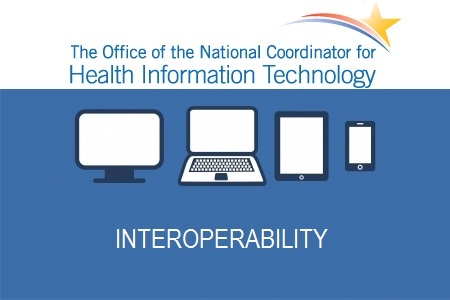 ONC has called on health IT stakeholders to develop policies and technical approaches to help achieve seamless interoperability. In order for the good progress to continue, a number of goals have been set. If the goals are achieved, by the end of the 10-year time frame of the Roadmap the U.S will have a learning health system that can be used to continuously improve care, public health and science through real-time data access. The Interoperability Roadmap lays is intended to help create a standard set of healthcare data that can be used for and by every patient, which will facilitate the sharing of health information. Those data sets will include personal information on the patient, such as their name, gender and date of birth, as well as health information such as allergies suffered, immunization history, and other vital clinical data (medical complications experienced, vital signs, smoking status etc. ), a physician care plan, instructions for the patient and their healthcare goals. Build on existing health IT infrastructure. ONC wants to preserve the significant investments that have been made in health IT across the care delivery system and other relevant sectors. Allow flexibility. ONC will strive for “baseline interoperability” across the health IT infrastructure, while permitting innovators and technologists to vary the experience to best meet users’ needs. Empower individuals. Health information from the care delivery system should be easily accessible to individuals and encourage them to be more active partners in their health. Leverage the market. Payment and care delivery reform will increase demand for interoperability, and ONC pledges to support those efforts. Simplify. ONC will look to provide straightforward solutions first, with allowance for more complex methods in the future. Maintain modularity. The Roadmap will incorporate independent components that can be connected together. This modular approach will allow for adoption of new and more efficient structures over time without overhauling entire systems. Support multiple levels of advancement. Not every organization will adopt health IT at the same level of sophistication, ONC acknowledges. The plan will account for a range of capabilities among information sources and users (including EHR and non-EHR users). Focus on value. The greatest value to individuals and care providers will come in the form of improved health and healthcare, as well as lowered costs that should, at a minimum, offset the resource investment. Protect privacy and security. ONC will strive to ensure that safeguards for health information will be in place as interoperability increases. ONC also calls for greater transparency for individuals regarding the business practices of entities that use their data, particularly those who are not HIPAA covered entities. 2015-2017: Ensure policies and systems are developed to facilitate the sending, receiving, finding and using of priority data domains to improve the quality of care and health outcomes. 2018-2020: Work on expanding interoperable health IT and users of such technology to improve health and reduce costs. Electronic health data must be offered by 50% of health IT developers by the end of this period. 75% of health IT developers will be required to offer electronic health data by 2024. By 2020, the ONC will have developed standards for health data domains, and providers must be able to test their own efforts toward health IT interoperability. Patients will, by 2020, be able to access their health data as well as send and receive data electronically and manage their own healthcare. 2021-2024: Work toward achieving nationwide interoperability to enable a learning health system. By 2024, providers must be able to comprehensively test interoperability, while patients will be able to integrate EHRs across mobile platforms and use online tools to manage their healthcare. The Roadmap also requires the standardization of privacy standards across states. There is currently considerable variance in state privacy laws. The “Connecting Health and Care for the Nation” 10-Year Roadmap can be viewed and downloaded here.